Over the Easter weekend, I was beside myself with surprise to find that I had a few hours free. To be clear, this has not been the norm for me recently. Indeed, it's been brutal hereabouts this year: at home, 2014 to date has been a combination of sickness and sadness, and at work, with most of my students sitting their English exams soon, trying to keep on top of my various other obligations has been hard... hence the lack of late of what I want to call casual content here on The Speculative Scotsman. With a little luck, though, that should be sorted shortly, and given the wonderful weather this weekend—oh what fun it was to sit in the sun!—suddenly it feels like summer is nearly here. I won't give anything away today, but I have big plans for the holidays, when they happen. Plans that I've been hatching for a period of years. In any event, this weekend, I found myself with a few extra hours, and I deliberately did something different with them. Something I wasn't sure I ever would do. Readers... I started playing a certain game. And I discovered, despite my doubts, that I am prepared to die. Again and again and again, in a cycle of violence I was sure would make me hateful. But it hasn't so far. How about that? 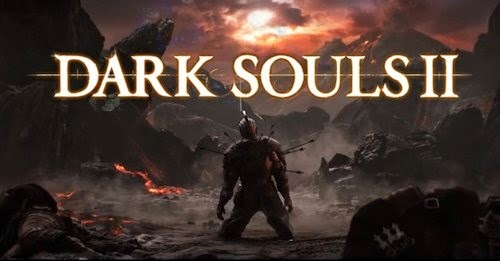 But hey, if there are any old hands out there, a few words of advice for a Dark Souls amateur would be very welcome.